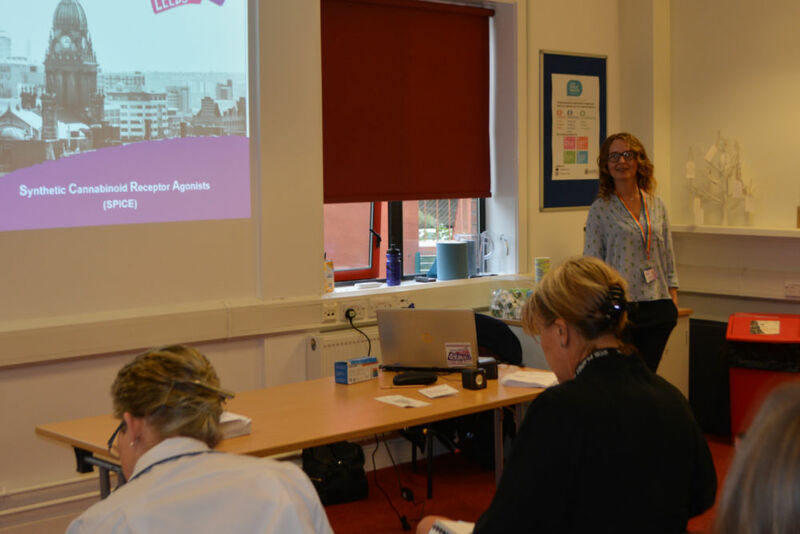 Forward Leeds delivered its first “Want to Know More about…Spice” talk at a booked out session on the 8 October. This was the first of four identical planned talks on the drug taking place this month at the Public Health Resource Centre. Forward Leeds’ Brief Intervention Trainer Claire Roberts gave an overview of Synthetic Cannabinoid Receptor Agonists (SCRAs), the drug with the street name of ‘spice’, to an audience that included housing workers, social workers, public health professionals and young people’s drug and alcohol workers amongst others. The talk covered who is using SCRAs, what SCRAs are, the effects of SCRAs both in terms of intoxication and withdrawal, the scale of the problem in Leeds and how to look after people who choosing to use it. Councillor Angela Wenham who attended the session said: “It was nice to get the true facts about spice. It opened my eyes to find out who who is using it and how it is being used. Claire spoke about how likening spice users to creatures from horror films can create unnecessary fear and risks further isolating vulnerable people. The talk covered in depth the symptoms of intoxication and offered recommendations for how to help someone who may be intoxicated by SCRAs or even overdosing. Claire concluded with an overview of the new Safer Leeds Street Support Team which has was put in place in September. The new team provides a partnership approach to safeguarding and supporting those in need on the city’s streets as well as tackling antisocial behaviour often linked with street based lifestyles. The next talk on the 15 October is already fully booked but there are still limited places for the sessions on the 22 October at 3pm and the 29 October at 2pm. Please contact the Public Health Resource Centre to book a place.